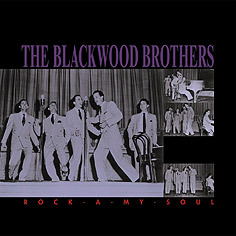 The first seven RCA Victor albums and the first three RCA Camden albums recorded by the Blackwood Brothers Quartet now digitally re-mastered on five CDs. Included is an 82-page book written by Charles Wolfe, with over 70 pictures, many which have never been published before. It also includes a complete discography by Paul Davis & Richard Weize.